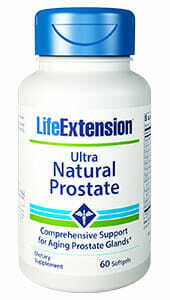 A new formulation, with even more power to boost prostate health! Ultra Natural Prostate contains only nutrients that have been scientifically studied and shown to support the health of the prostate gland. 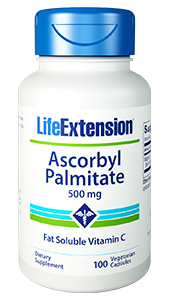 Absorption is enhanced with phospholipids. An upgraded formulation, with even more power to boost prostate health! Ultra Natural Prostate contains only nutrients that have been scientifically studied and shown to support the health of the prostate gland.1-10 Its absorption is enhanced with phospholipids, making it fast and easy for the body to utilize the nutrients it contains. Ultra Natural Prostate may be able to help support healthy urination patterns, reducing inflammation of the prostate and reducing the pressure the prostate puts on the bladder.11-16 This reduces the frequent need to urinate often accompanying prostate problems. 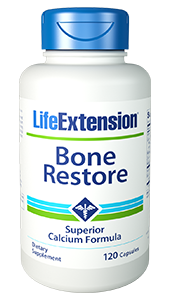 Also, this formula may be able to obstruct the growth of cancer cells in the prostate.17 Cancer cells can start to grow due to abnormalities, and Ultra Natural Prostate supports a normal, fully functioning prostate. In turn this decreases the chances of cancer cells growing. Ultra Natural Prostate may be able to control inflammation of the prostate, and may promote the healthy function and size of the prostate. It calms inflammatory reactions, stopping the body from reacting to unnecessary stimulus with inflammation and easing any already present inflammation.29-36 Ultra Natural Prostate is the latest, scientifically validated, formula to aid in the overall health of the prostate. 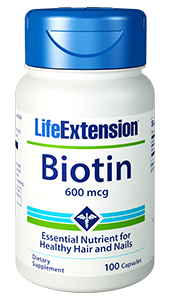 Other Ingredients: gelatin, glycerin, sunflower oil, beeswax, purified water, carob color, maltodextrin, rosemary extract. AprèsFlex® is a registered trademark of Laila Nutraceuticals exclusively licensed to PL Thomas – Laila Nutra LLC. U.S. Patent No. 8,551,496 and other patents pending. HMRlignan™ is a trademark used under sublicense from Linnea S.A. Tomat-O-Red® is a registered trademark of LycoRed LTD.
1. Eur J Clin Nutr. 2006 Jan;60(1):129-35. 2. J Med Food. 2008 Jun;11(2):207-14. 3. Cancer Epidemiol Biomarkers Prev. 2008;17:3241-51. 4. Ann N Y Acad Sci. 2006 Nov;1089:201-17. 5. Aging Male. 2002 Jun;5(2):98-102. 8. Mol Cell Biochem. 2011 Aug;354(1-2):189-97. 10. Anticancer Agents Med Chem. 2008 Aug;8(6):646-82. 11. Curr Opin Urol. 2005 Jan;15(1):45-8. 12. Am J Chin Med. 2004;32(3):331-8. 13. Adv Ther. 2010 Aug;27(8):555-63. 14. J Inflamm (Lond). 2013 Mar 14;10(1):11. 16. Nutr Res Pract. 2009 Winter;3(4):323-7. 17. J Med Food. 1999;2(1):21-7. 18. Available at: link. Accessed September 17, 2013. 20. World J Urol. 2002 Apr;19(6):426-35. 21. Br J Urol. 1997;80:427-32. 22. Available at: http://www.med.nyu.edu/content?ChunkIID=21555. Accessed September 17, 2013. 23. Eur Urol. 2009 Sep;56(3):544-51. 24. Nihon Hinyokika Gakkai Zasshi. 2002 May;93(4):539-47. 25. BJU Int. 2000 May;85(7):836-41. 26. Anticancer Agents Med Chem. 2010 May 1;10(4):346-51. 27. Arch Pharm (Weinheim). 2004 Apr;337(4):183-7. 28. Toxicol Pathol. 2004 Jan-Feb;32(1):73-8. 29. BJU Int. 2003 Sep;92(4):375-8. 30. Nutr Cancer. 2009 Nov;61(6):775-83. 31. J Nutr. 2008 Jan;138(1):49-53. 32. Aktuelle Urol. 2009 Jan;40(1):37-43. 33. FASEB J. 2004 Jun;18(9):1019-21. 34. J Natl Cancer Inst. 2002 Mar 6;94(5):391-8. 35. Cancer Epidemiol Biomarkers Prev. 2004 Mar;13(3):340-5. 36. Studies on molecular mechanisms of growth inhibitory effects of thymoquinone against prostate cancer cells: role of reactive oxygen species.